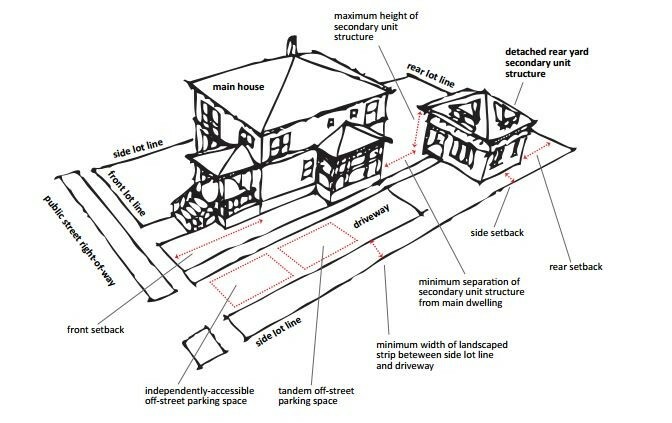 A diagram of a secondary housing unit behind a single family home. Last night, the Oakland City Council voted to ease restrictions on the construction of secondary housing units, or backyard cottages. The new rules promote more rental housing by easing parking requirements, allowing homeowners to transform existing backyard buildings like sheds and garages into living spaces, and relaxing height and setback requirements. "This is the best way to quickly build our stock of much-needed rental housing," said Oakland Mayor Libby Schaaf in a press release. "This will also help preserve the diversity of our communities by keeping renters and owners in the same neighborhoods, while creating income opportunities for homeowners who also feel the pressure our region’s high cost of living." Other Bay Area cities have passed, or are considering similar relaxed rules to promote the construction of new secondary housing units. For example, Berkeley passed new secondary unit rules in March of last year. Parking requirements are one of the biggest impediments to the addition of backyard cottages, according to a UC Berkeley report on the subject that was issued in 2012. Most East Bay cities require homeowners to build new parking spaces on their property if they construct a secondary unit. The cost of building a parking space, and loss of green space that gets paved over, has dissuaded homeowners from building backyard cottages. Oakland's previous parking rule required the construction of one parking space for each new backyard housing unit built. 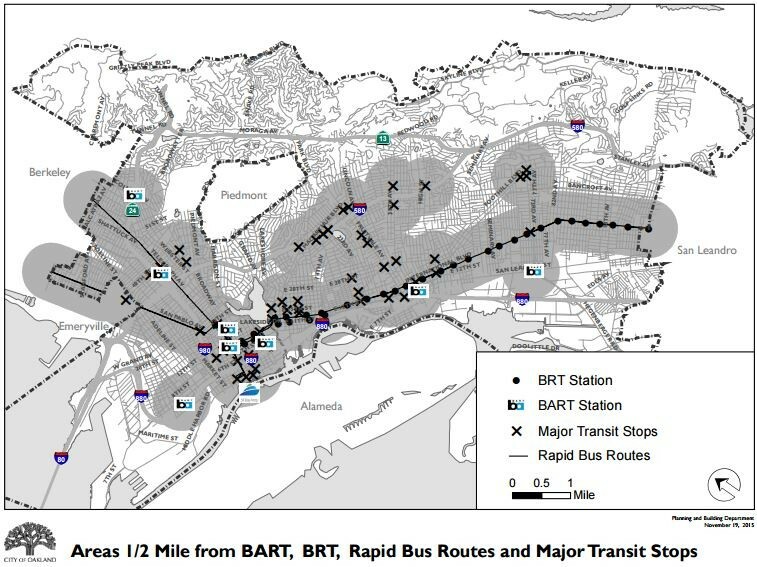 Under the new rules, a homeowner within one half mile of a BART station or bus rapid transit line can build a new secondary unit without adding a parking space. This area covers much of the city. One policy that Oakland didn't include in its new secondary unit regulations is a restriction on the rental of new backyard cottages as short-term rentals through services like Airbnb. Berkeley, by contrast, banned the rental of new secondary units as short-term rentals because city leaders want to maximize the number of new rental units that will provide housing for residents, rather than serve as hotel accommodations for visitors.